Use with Smart Life: a)Search "Smart Life" on App store, Google Play or Scan the QR code on User Manual to download and install it. 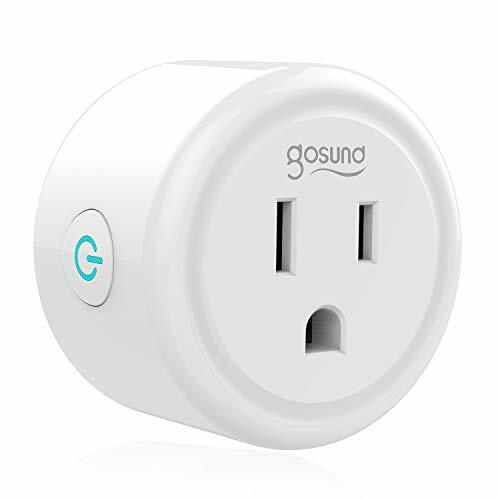 b)Set up your Smart Life account c)Plug Gosund S1 into an AC outlet d)Add Device>ELECTRICAL OUTLET and confirm the device in the App. e)Connect the plug to your local WIFI with your phone connecting to it. f)Schedule your appliances. Use with Alexa a)Set your Echo Speaker by Alexa APP b)Enable a Skill which is "Smart Life" in Alexa APP. Note: Set up Smart Life before setting up Alexa. All Within Reach: Control your electrical items via your phone whenever and wherever you are after downloading the FREE APP(small space)as long as there is a 2.4g network.Ideal for someone who can not move around very well and needs easy access to turn on/off a device. Forget to shut things down? Forget to turn on/off your tamp or fan? Worry about overcharging? Want to give the appearance of someone is home? 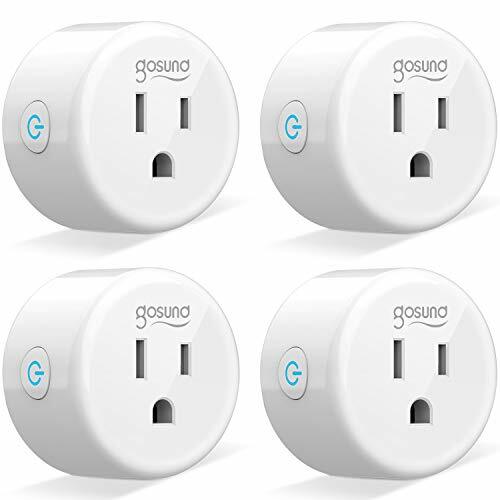 Gosund Smart Plug can help you control your home appliances, eliminate wasteful standby power and reduce energy use, save on your electric bills and extend product life. Compatible with Many Third-Party Usages: Work with Amazon Alexa / Google Home / IFTTT; Compatible with Android 4.4. & iOS 8 above; Does not work with SmartThing, Homekit, Bluetooth. 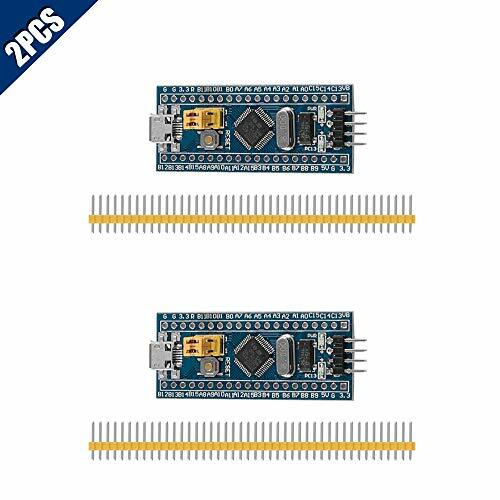 Only supports 2.4GHz network, does not support 5GHz, please kindly check your network is 2.4GHz before connecting the plug. 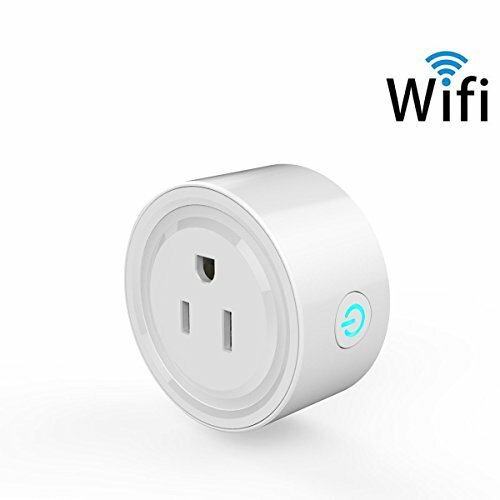 Easy to Install and Safe: Just plug a device into the wifi outlet and connect to your Wi-Fi network with APP Smart Life. ETL listed, FCC, RoHS, reach Approval. Gosund smart plug is backed by 90 day unconditional full refund guarantee and 12-Month limited warranty. The simplest and most affordable way to make your home smart. VOICE CONTROL: Pairs with Amazon Alexa or Google Assistant to enable voice control. Hands-free experience, perfect for mom, the disabled, or the light switch with some difficulty to reach. REMOTE CONTROL: Set connected devices to turn on and off as needed from anywhere. MINI SIZE: Small enough where you can easily use both plugs. EASY SETUP: Setup is a breeze to set up. No hub required. WIDE APPLICATION: Flexible control of a wide range of plug-in devices, such as light, fan, radio, fish tank light, Christmas tree light, crock pot, wax burners, monitors, speakers and chargers. GROUP/SCENE: Allows grouping controllers under a single group name. You can create a scene also. 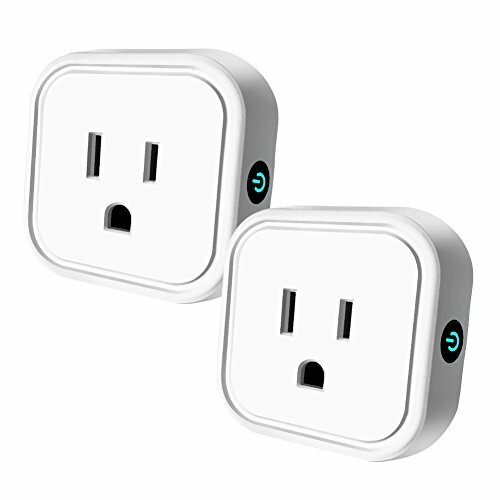 SCHEDULE: You can schedule smart outlet plug to turn on and off when we're away from home. COUNTDOWN: The smart outlet's countdown feature lets you set a timer that switches it off automatically so you can set and forget any connected device. Gosund wifi plug is backed with 90-day money back, 2-year warranty and lifetime support. 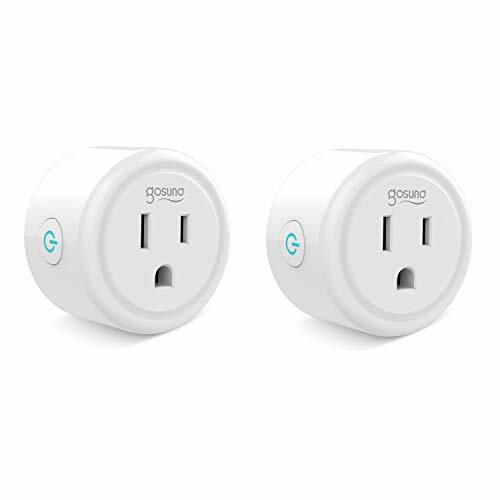 BUY WITH CONFIDENCE: Gosund wifi plug is backed with 90-day money back, 2-year warranty and lifetime support. 1.Search for the"Smart Life" on the App store or Google Play. You can also scan theQR code in our User Manual provided. 2.Register/Login to the App using your phone number or email address. A verification code will be sent if you are attempting to register. 1.Only support802.11b/g/n 2.4GHz Wi-Fi, not support 5.0GHz Wi-Fi. Remote Control Control your electrical items via your phone whenever and wherever you are after downloading the FREE APP Smart Life as long as there is a network. Ideal for someone who can not move around very well and needs easy access to turn on/off a device. 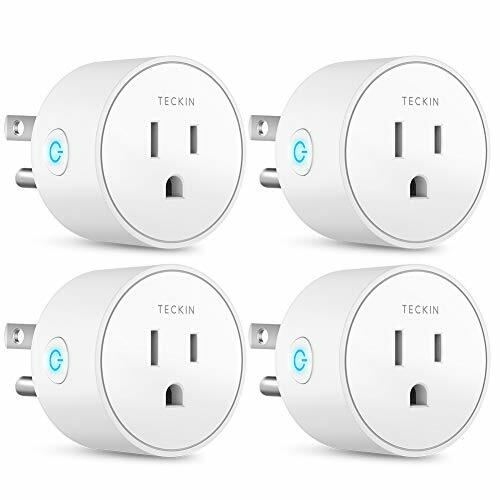 Set up easily Simply plug TECKIN mini outlet into an electrical outlet, connect a device to the Smart Plug, and wirelessly control your device using a tablet or phone. A secured 2.4GHz WiFi network is required. Quality Guaranteed The Mini Smart Plug features a sleek new design that is FCC approved product. If you encounter any problem or need support, please feel free to contact us through following E-mail support.us@teckinhome.com or Amazon directly. We offer two years of warranty and replacement services and lifetime technical support services if the plug is defective. Control from anywhere. 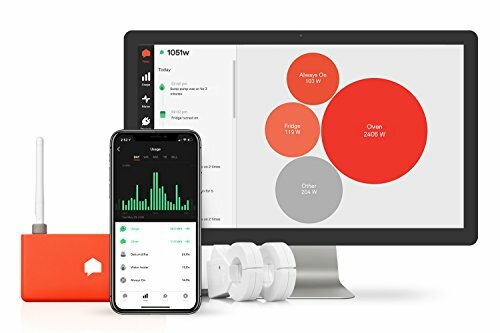 Plug in a Wemo Mini Smart Plug, download the free app, and control your lights and appliances from your phone and your voice through Amazon Alexa and Google Assistant. Only needs Wi-Fi. No hub or subscription required. Compact size. 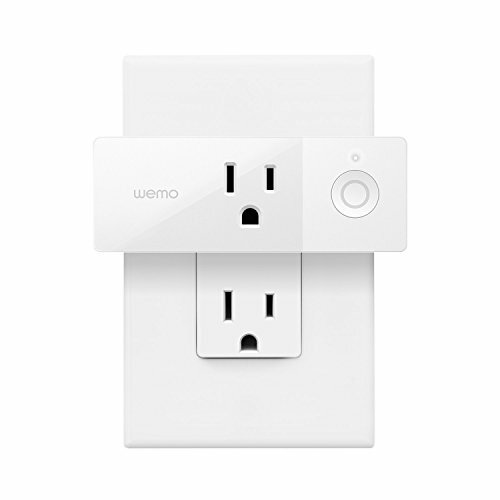 Wemo Mini features a sleek new form-factor that allows you to stack two Mini Smart Plugs in the same outlet. Randomize Lights. The Mini Smart Plug protects your home better than a mechanical timer. Away Mode will turn your lights on and off randomly to make it look like youre home even when youre not. Use with Smart Life: a)Search "Smart Life" on App store, Google Play or Scan the QR code on User Manual to download and install it. b)Set up your Smart Life account c)Plug Gosund WP3 into an AC outlet d)Add Device>ELECTRICAL OUTLET and confirm the device in the App. e)Connect the plug to your local WIFI with your phone connecting to it. f)Schedule your appliances. All Within Reach: Control your electrical items via your phone whenever and wherever you are after downloading the FREE APP (small space) as long as there is a 2.4GHz network. Ideal for someone who cannot move around very well and needs easy access to turn on/off a device. Easy to Install and Safe: Just plug a device into the wifi outlet and connect to your Wi-Fi network with APP Smart Life. ETL listed, FCC, RoHS, reach Approval. Gosund smart plug is backed by 90-day unconditional full refund guarantee and 12-Month limited warranty. The outdoor switch enables you to wirelessly control your home's outdoor lighting and appliances, including seasonal and landscape lighting, fountains and pumps, letting you turn lights on and off or schedule a timed event from anywhere, at any time. Easily control outdoor lighting with your mobile device or computer using any Z-Wave certified gateway, or control lighting on location with the manual push-button control or a Z-Wave certified remote. Compatible with CFL, LED, incandescent, fluorescent, xenon and halogen lighting. Features one Z-Wave enabled outlet with integrated outlet cover that protects module from dirt and debris when not in use. Weather and impact resistant housing withstands damp or wet conditions. Compatible with the following Z-Wave certified Hubs: SmartThings, Pulse, Trane, Wink, Nexia, Honeywell, HomeSeer, Smart Security, Harmony Home Hub Extender, Vera, Connect and Iris. ALEXA COMPATIBLE - REQUIRES AN ALEXA SUPPORTED HUB for voice control with Echo Products (Alexa device and hub sold separately). 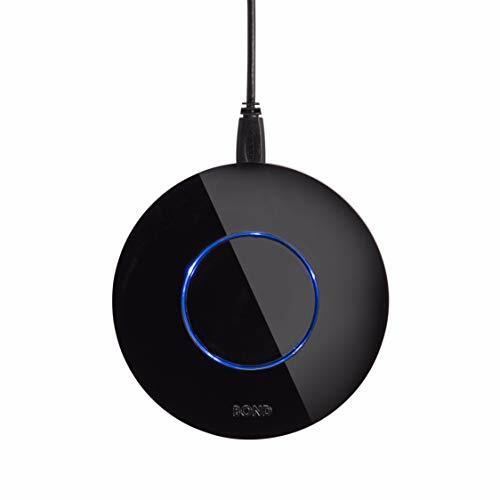 CANNOT connect directly with ECHO PLUS (Only ZigBee products can connect directly to Echo Plus). Easily control outdoor lighting with your mobile device or computer using any Z-Wave certified gateway, or control lighting on location with the manual push-button control or a Z-Wave certified remote. Compatible with CFL, LED, incandescent, fluorescent, xenon and halogen lighting. Features one Z-Wave enabled outlet with integrated outlet cover that protects module from dirt and debris when not in use. Weather and impact resistant housing withstands damp or wet conditions. Compatible with the following Z-Wave certified Hubs: SmartThings, Pulse, Trane, Wink, Nexia, Honeywell, HomeSeer, Smart Security, Harmony Home Hub Extender, Vera, Connect and Iris. The Sense monitor tracks your home's power use and device activity in real time. 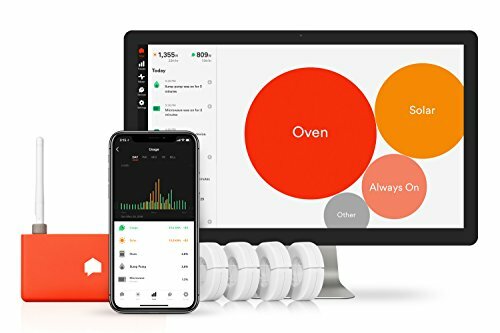 REMOTE ENERGY MONITORING: Real time monitoring of your energy use and home activity through our iOS, Android, and web apps. SEE WHAT'S ON AND WHEN: See when your kids got home, whether your sump pump is on, and more. Integrates with Alexa, Philips Hue, Wemo Insight and Kasa HS110 smart plugs. ETL LISTED: Rigorously tested for safety and certified compliant with UL and IEC standards. Designed specifically for traditional split-phase, 240 volt homes in the US. CONTROL CEILING FANS AND FIREPLACES FROM YOUR SMARTPHONE - BOND turns any remote controlled fan or fireplace smart in seconds. Activate the fan, control fan speeds, and switch on lights-all from your iPhone, Android phone, tablet, Amazon Echo, or Google Home Assistant. With BOND, you'll be able to use these smart devices to do whatever your remote control could do. ALEXA AND GOOGLE-ENABLED - This device is certified by Amazon and Google to work with Alexa and the Google Home Assistant. Control your ceiling fan with voice commands. You'll never need to reach for the light switch or the remote again. Controlling a ceiling fan and fireplace has never been easier! CONTROL UP TO SIX CEILING FANS - A single BOND can control up to six ceiling fans from one central location. The BOND can record and transmit RF (radio frequency) as well as IR (infrared) signals, so it will work regardless of what kind of remote you have. The area range is about 2,500 sq. ft. so you'll be able to control fans in other rooms or on another floor. NO INSTALLATION NEEDED - Set up is extremely quick and easy. Simply plug in the BOND device, download the app to your phone, point your fan remote at the BOND, and you're done! All of the functions on your remote-including fan speed, light dimmer settings, and timer using IFTTT-can now be controlled via the BOND. SMART HOME FUNCTIONALITY WITHOUT BREAKING THE BANK - Everybody wants devices and appliances with smart home functionality, but many of these products are extremely expensive. With BOND, you can make your old appliances smart without replacing them. Our software currently supports ceiling fans and electric and gas fireplaces, but updates are on their way for A/C units, garage doors, and motorized shades! Now your indoor air quality, temperature, and humidity are just a glance away. Compact and crafted to perfection. Equipped with all-new precision sensor technology. And furnished with a customizable display encompassed by a sleek aluminum bezel. 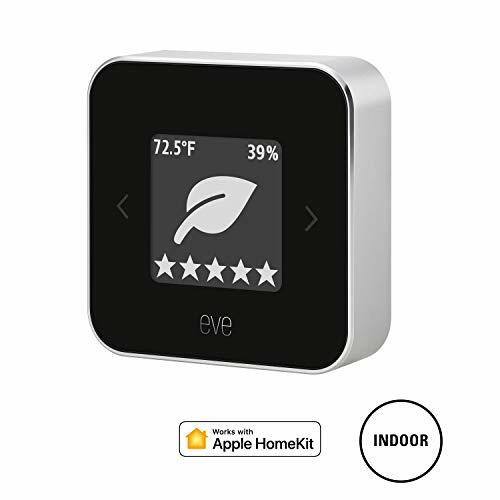 With Eve Room, keeping your home healthy is that much simpler. Z-Wave Plus ZWN-RSM1 utilizes the latest advancement in home automation Z-Wave technology to provide faster operation, better RF coverage and easier installation. Z-Wave unifies all your home electronics into an integrated wireless network and helps them talk to each other. Any Z-Wave enabled device can be added to the network, making your home electronics fully compatible. ZWN-RSM1 is installed and "hidden" behind an ON/OFF switch to enable the load (light / fan) to be wirelessly turned ON/OFF on your mobile device Z-Wave APP from any distance. 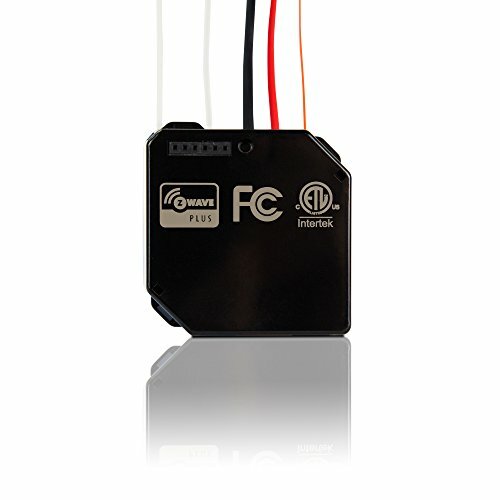 This ZWN-RSM1 module is a Z-Wave enabled device and is fully compatible with any Z-Wave enabled network. The ZWN-RSM1 Switch Module is a component of a lighting control system. It can be used separately or wired to a switch to turn an existing switch into a Z-Wave switch. Once the ZWN-RSM1 module is installed and setup with in your wall, it will retransmit the RF signal from one device to another until the intended device is reached. In a Z-Wave network, each device is designed to act as a wireless repeater. This ensures that the signal is received by its intended destination by routing the signal around obstacles and radio dead spots. A Z-Wave hub is required to control this device. Tracks your home's solar production, power use, and device activity in real time. MAXIMIZE YOUR SOLAR INVESTMENT: Measure power consumption and solar production in dollars and cents to see exactly how much particular devices are costing you, and how much solar is helping you save. REMOTE ENERGY MONITORING: Real time monitoring of your energy use and solar production with our iOS, Android, and web apps. ETL LISTED: Rigorously tested for safety and certified compliant with UL and IEC standards. Designed specifically for traditional split-phase, 240 volt homes in the US and Canada. DISCOVER HOW MUCH MONEY YOUR ELECTRICITY IS COSTING YOU IN REAL-TIME. See your usage change as you turn your devices on and off. ACCESS YOUR INFO ON-THE-GO WITH YOUR PHONE, TABLET OR COMPUTER - INTEGRATES WITH AMAZON ECHO. No software to download. VIEW YOUR USAGE DATA IN WATTS, AMPS, $. 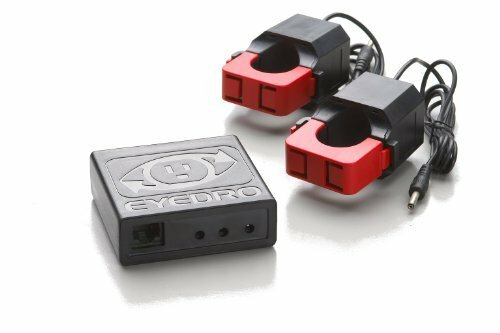 MyEyedro is powerful cloud based software that is included with your Eyedro hardware with no subscription fee. HEYGO is a brand pursuing high quality and user's excellent experience.The design of this type Smart plug (wifi outlet) is attractive, simple and lovely. In particular, its unique cubic shape makes it very compact and technically sophisticated. The production material of the HEYGO smart plug is the latest fireproof ABS material, which enables you no need of worrying about any safety hazard when you enjoy the intellectualization and convenience of home appliances. Its powerful remote-control capabilities allow you to open or close appliances in any network corner of the world. The timing function makes you enjoy the changes that intelligent life brings to you. We are trying our best to make your life better! Smart management actually helps eliminate excess consumption of electricity, since household devices can still eat up energy, even when not in use. So the HEYGO smart plug can help you to cut down the equipment completely without the use of your home appliances, that you can save energy and costs. Be smart about home! With MWAY Smart plug, you can control your lamps and other appliances with your voice via Alexa or your phone via wifi. When you use the app,you can use worry-free schedule function for your devices, selecting timer or countdown feature to programming your appliances. If you have any question and ask for assistance,pl feel free to contact us. Our smart plug offer 12month warranty. Work With Various Smart Devices M WAY Smart plug works with Amazon Alexa and Google Home Assistant then you can control the plug on or off via voice without lifting a finger. Besides that, you are able to control it via smartlife app from your phone.Notice: Do not support SmartThings, homekit, or IFTTT. Work Automatically And Smartly Plug your floor lamp with our MWAY smart plug,and the lamp can be powered on at the time automatically that you have set and off on time.Just need you set a work schedule in the Smartlife App.Smartlife App provides Time Schedule function and countdown function. Control from Anywhere When the plug is under the connection of 2.4GHz wifi, you can check the status or control the plug at any where. You can control it to power on the plugged lamp when you at office, so that you would not face a dark house after open the door of your house. Simple And Stable Connection No Hub or Subscription Required.Just Download the Free App.Plug it and pair it to 2.4GHz Wi-Fi.We adopt Safe and High Performance chip to let the plug work more stable with the app, google home, Alexa echo, saving your energy. Provide You Seriously Service We offer you 30-Day money back if you do not like the plug and 2-year warranty and lifetime support. If you have any advice and question please contact us and write it down to us.It's our pleasure to work for you. Control your lights from anywhere. Sync them with the sun and moon. Set idyllic scenes and have additional devices work in unison. 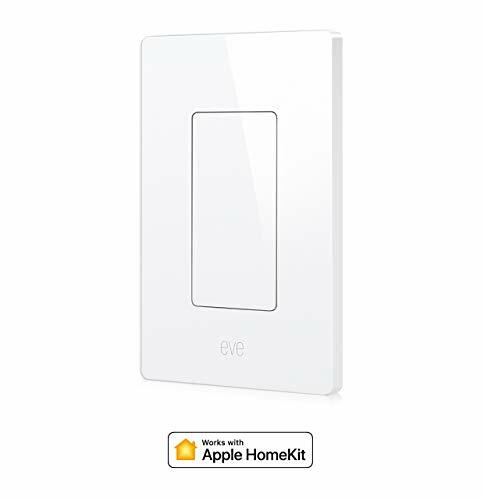 With Eve Light Switch, experience the convenience of connected lighting without replacing a single bulb in your home. - High quality components, fine workmanship. - Treble and bass four modes adjustment, full free welding, easy to use, high bass assign more accurate. - Implementing overall debugging, no welding, using very convenient, and listening to the sound effects can implement debugging control according to their own interests. High quality components, fine workmanship. Treble and bass four modes adjustment, full free welding, easy to use, high bass assign more accurate. Implementing overall debugging, no welding, using very convenient, and listening to the sound effects can implement debugging control according to their own interests. With the microcontroller 5V isolation, effective protection of single-chip; Using 74HC244 chip to effectively isolate the microcontroller and motor drive. The installation of electronic modules requires basic knowledge and requires a certain electronic professional foundation and hands-on ability. Please purchase carefully! Manual measurement, with small error. Please check size in detail before purchase. Real colors may slightly differ from the pictures, as it depends on specific monitor settings and light brightness. We highly appreciate all customers opinions to improve the selling, also if anything you unsatisfied, please contact us for probable best solution. 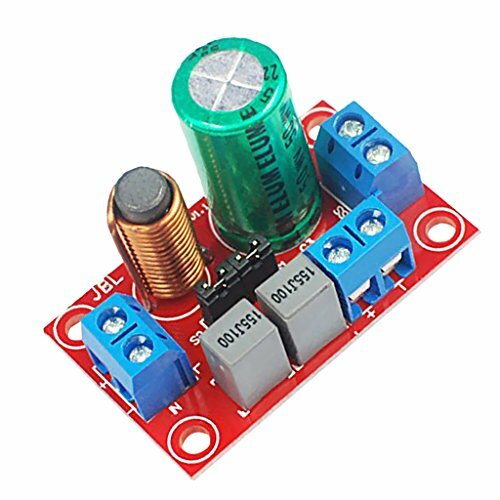 Operating voltage: DC 7V-12V (typical applications is 9V). This DIY assemble kits is equipped with 6 digits LED module, it's fun to build and also help you learn more professional knowledge about electronics. It is programmed AT89C2051 MCU chip, precise time display, 24 hours format, supporting seconds correction, countdown clock, stopwatch, counter, hourly chime and alarm clock functions. High quality PCB, has clearly marked the electronics components, even beginners can easily solder successfully. 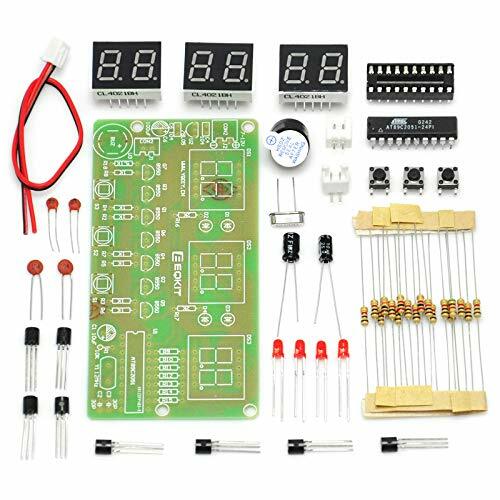 Comes with English user manual and online PDF file can check the list of components, circuit diagram and English instruction in the images, which will guide you how to finish step by step, perfect for school basic electronics experiment projects. Before soldering the LEDs, it's recommended to use a multimeter to check if there are any LEDs that are not bright. 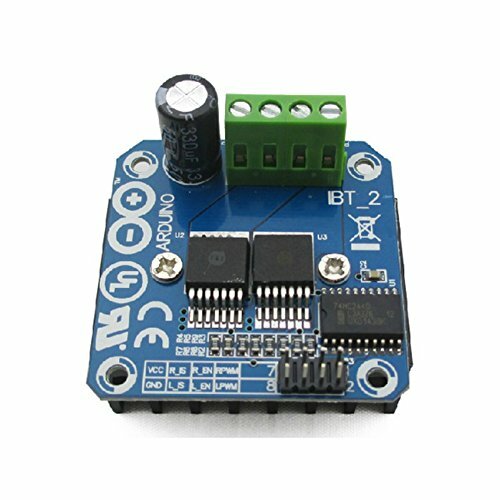 RGBgenie LED Driver, Z-Wave Plus, 110 - 277 volt input. 24 volt constant voltage output with 75 watts of power - Perfect for LED strip lights - ZW-1008 The ZV-1008 is a Z-Wave Plus enabled dimmable LED driver with 75 watts of power. Using the latest Z-Wave Plus standard, this controller can is perfect for RGBW strips. With the built in power supply, it can take line voltage to power your 24 volt lighting. Control color, on/off and dimming from a variety of RGBgenie devices and Z-Wave certified gateways. RGBgenie LED Driver, ZigBee 3.0, 110 - 277 volt input. 24 volt constant voltage output with 75 watts of power - Perfect for LED strip lights - ZB-1007 The ZB-1007 is a ZigBee enabled dimmable LED driver with 75 watts of power. Using the latest ZigBee 3.0 standard, this controller can be configured to drive four single color channels or RGBW lighting. With the built in power supply, this unit can take line voltage to power your 24 volt lighting. Control color, on/off and dimming from a variety of RGBgenie devices and Zigbee certified gateways. With the use of Touch-Link commissioning, which is a Zigbee specific method to pair with compatible devices, you have the convenience of operating your LED strip lights from our in-wall glass touch panels or hand held remotes. RGBgenie LED Driver, ZigBee 3.0, 110 - 277 volt input. 24 volt constant voltage output with 75 watts of power - Perfect for LED strip lights - ZB-1007 LATEST ZIGBEE 3.0 - The latest ZigBee 3.0 protocol which is the unified ZigBee HA (Home Automation) and ZigBee LL (Light Link) profile. Touch-Link enabled. SAFE AND RELIABLE - Fully isolated design with emergency shutoff and over current protection. When the internal temperature reaches an unsafe level, the ZB-1007 will send an emergency shutoff command to the gateway. VOICE CONTROL - When added as a device, control brightness and on/off without the use of an invocation phrase. Simply say "Alexa, turn on game room light", or "Alexa, make game room light 50%". DIMMABLE - Flicker free dimming of either single color or RGBW LED lighting. Very smooth 1-100% dimming range. REPEATER - The ZB-1007 is also a ZigBee network repeater, making your mesh network stronger. 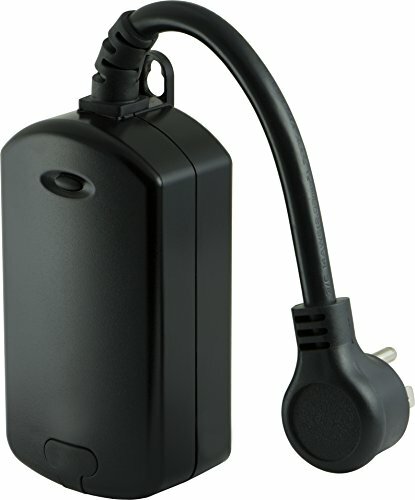 POWERFUL - Built in power supply for use with 24 volt lighting. 5 YEAR WARRANTY - Industry leading 5 year warranty. LATEST ZIGBEE 3.0 - The latest ZigBee 3.0 protocol which is the unified ZigBee HA (Home Automation) and ZigBee LL (Light Link) profile. Touch-Link enabled. SAFE AND RELIABLE - Fully isolated 110V design with emergency shutoff and over current protection. When the internal temperature reaches an unsafe level, the ZB-1007 will send an emergency shutoff command to the gateway. DIMMABLE - Flicker free dimming of color LED lighting. Very smooth 1-100% dimming range. REPEATER - The ZB-1007 is also a ZigBee network repeater, making your mesh network stronger. HIGH QUALITY AND POWERFUL - Industry leading 5 year warranty means it is built to last. 3.12 Amps of power to drive your 24 volt lighting. 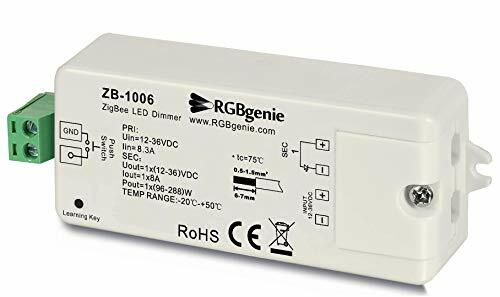 RGBgenie Single Color LED Controller, ZigBee 3.0, 12 24 36 volts, single channel constant voltage controller with 8 amps of power - Perfect for LED strip lights - ZB-1006 The ZB-1006 is a ZigBee enabled LED controller with an impressive 8 amps of power. Using the latest ZigBee 3.0 standard you can control on/off and dimming from a variety of RGBgenie devices and Zigbee certified gateways. With the use of Touch-Link commissioning, which is Zigbee specific method to pair with compatible devices, you have the convenience of operating your LED strip lights from our in-wall glass touch panels or hand held remotes. DIMMABLE - Control on/off and dimming of single color LED strip lights. Very smooth 1-100% dimming range. REPEATER - The ZB-1006 is also a ZigBee network repeater, making your mesh network stronger. 5 YEAR WARRANTY - Industry leading 5 year warranty.